Hilo personal injury lawyer Louis P. Mendonca provides selected internet resources designed to assist personal injury victims and their families. Please note that these resources are links to government and non-profit websites and are provided for informational purposes only. If you or a loved one has been injured in an accident or as a result of the wrongful act of another person, you probably have many unanswered questions. Louis P. Mendonca, Attorney at Law is here to help you and offers a free, no obligation consultation. 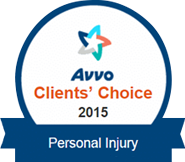 Contact our office today to speak with a Hilo accident lawyer with over 20 years of experience helping accident victims and their families. The Hawaii State Judiciary website provides general legal information, including information on courts, rules, forms, and legal resources, including the Hawaii State Law Library online. I’ve been involved in an auto accident. What should I do? Do I really need a lawyer if I was hurt in an accident? Is there insurance coverage if other driver did not have insurance? Louis P. Mendonca is a Hilo personal injury lawyer committed to representing victims of life-impacting accidents and injuries. With over 25 years of experience, Louis P. Mendonca has successfully litigated and settled hundreds of cases on behalf of his clients. 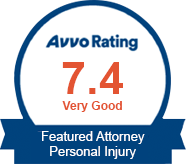 He has an established reputation among Hawaii personal injury attorneys for his ability to take on challenging cases and obtain excellent results for his clients. © 2017 - 2019 Louis P. Mendonca, Attorney at Law, A Law Corporation. All rights reserved. Custom WebShop™ law firm website design by NextClient.com.